While all the politicians have been announcing initiatives and agendas in Iowa this past week, I am announcing our own initiative of sorts. I am calling it the Ball Mark Intitiative or BMI which sounds a bit more catchy. This plan unifies all parties while working across the lines to do what is best for the course. The BMI takes a 4 pronged approach to solving ball marks. 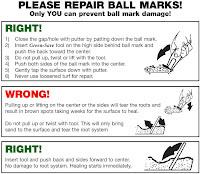 We have introduced friendly reminders on the flag sticks, posted signs in the golf shop, we are providing free repair tools and we are also informing customers in the shop and through the GPS system. The next step begins with you. 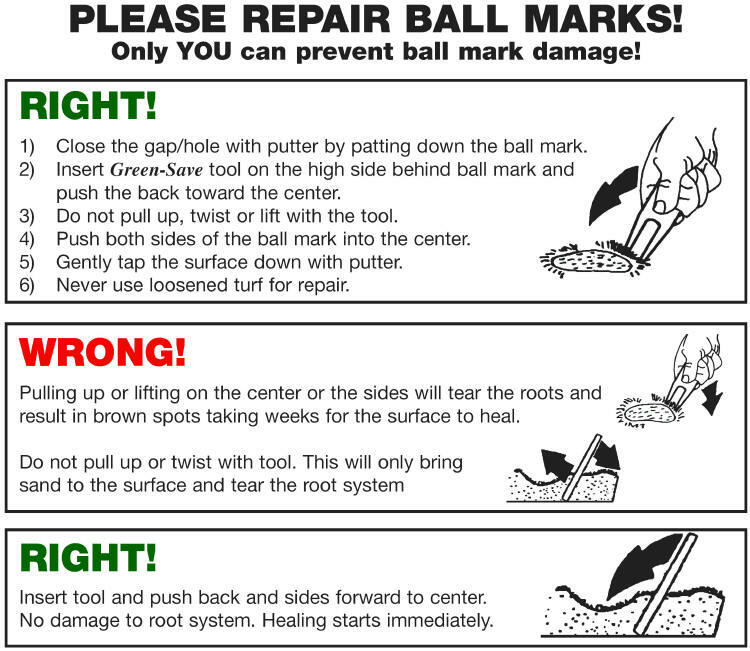 If you can get one person to follow you in fixing your ball mark and doing it correctly, than you can go to sleep knowing you helped make Cinnabar a better place. All kidding aside, un-repaired ball marks this time of year may take up to 4 or 6 weeks to heal assuming they haven't been filled with Poa annua.